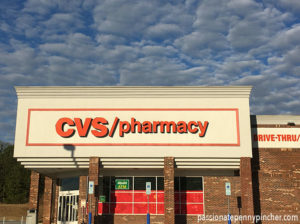 PPP Ultimate Coupon Challenge Day 5: CVS! September 22, 2017 by Laurie Leave a Comment This post may contain affiliate links, which means if you click on a link and purchase something, I may earn a small commission (at no additional cost to you.) See my disclosure policy HERE. If you missed my Facebook Live video you can view it HERE. This was a bonus option so I could donate the paper products so I spent a little more out of pocket than usual. But if you were to stop after transaction #2 you would get 7 items for $3.20 after coupons and ECBs or $1.20 if you have the $2/1 coupon for the Colgate. HAVE YOU JOINED US THIS WEEK? Looking for more inspiration? Here's what we've done this week! PPP Ultimate Coupon Challenge Day 4: Dollar Tree & Aldi! September 21, 2017 by Laurie 2 Comments This post may contain affiliate links, which means if you click on a link and purchase something, I may earn a small commission (at no additional cost to you.) See my disclosure policy HERE. I almost gave up couponing forever yesterday. Then I remembered that just this week I've snagged free eggs, free toothpaste, free yogurt at Walmart, free chocolate, free crackers, $1.99 Tide and lots more at Kroger, and that maybe trying Dollar Tree as a place to coupon shop was just a mistake. I love the Dollar Tree for crafty stuff. I love the Dollar Tree for certain school supplies. But I just don't love the Dollar Tree for awesome prices on groceries. I ran across the street though where there was an Aldi, and good gravy, I stocked up for $49.18. Here's what I bought . . .
Ny favorite deals were the grapes for $1.29 for TWO pounds, the $1.39 3-pack pack of peppers, and spaghetti sauce for just 99¢. I also loved the 25¢ tomato sauce, 45¢ can of Aldi “Ro-tel” and I loved that I was able to get so many bargains at such a great price. 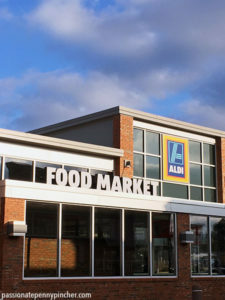 Shop one local store in your area for “loss leaders” (hugely discounted deals that they offer you to get you in the door” as well as for great meat prices (I feel like Aldi meat is priced high, so I personally wait for sales at Kroger or Fresh Thyme on meat.) Some examples of my favorite stores for these kind of deals are Kroger, Publix, Fresh Thyme, Sprouts, Meijer, Giant Eagle, etc. Shop Amazon for toilet paper, paper towels, and toiletries. 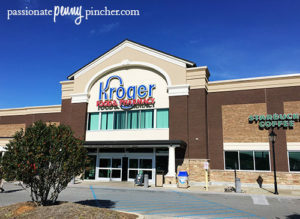 PPP Ultimate Coupon Challenge Day 3: Let’s Go Kroger-ing! September 20, 2017 by Laurie 1 Comment This post may contain affiliate links, which means if you click on a link and purchase something, I may earn a small commission (at no additional cost to you.) See my disclosure policy HERE. Here's how I bought everything in the picture above for $15.01. WOOHOO! Total after coupons, rebates and catalina = $15.01 ~ WOOHOO! FIND THE COMPLETE LIST OF KROGER DEALS THIS WEEK HERE, and sign up for the Ultimate Coupon Cheat Sheet right HERE so you never pay full price, ever again! PPP Ultimate Coupon Challenge Day 2: Target! September 19, 2017 by Laurie 1 Comment This post may contain affiliate links, which means if you click on a link and purchase something, I may earn a small commission (at no additional cost to you.) See my disclosure policy HERE. I'm sooo excited about the deals Shannon scored at Target today! While this is a slow week at Target (REALLY slow), she was still able to snag FREE vitamins, FREE burritos, 24¢ Crest and quite a few more fun deals. I know that may not sound all that exciting, but remember this is probably one of the slowest weeks we've seen at Target in ages ~ just imagine what deals we can find on a good week! 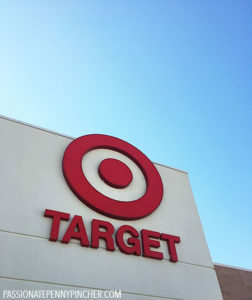 FIND THE COMPLETE LIST OF TARGET DEALS THIS WEEK HERE, and sign up for the Ultimate Coupon Cheat Sheet right HERE so you never pay full price, ever again! PPP Ultimate Coupon Challenge Day 1: Walmart! September 18, 2017 by Laurie 15 Comments This post may contain affiliate links, which means if you click on a link and purchase something, I may earn a small commission (at no additional cost to you.) See my disclosure policy HERE. When my couponing friend Shannon and I started talking about doing the Ultimate Coupon Challenge Week, I kind of questioned if really amazing deals really did still exist, but good gravy. Here's what I snagged at Walmart for a whopping $10.46 . . .
And, if you're a brand-spankin' new couponer and have never clipped a coupon, you can do even better than me because you'll get $10 FREE just for signing up for the Ibotta App Rebates. Here's how YOU can save big too . . .
AS LOW AS $10.46 AFTER COUPONS AND REBATES + SUBMIT RECEIPT FOR WALMART SAVING CATCHER SAVINGS IF COMPETITOR PRICES ON ANY ITEMS ARE LOWER IN YOUR AREA! 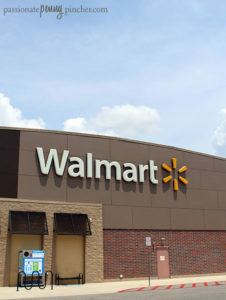 FIND THE COMPLETE LIST OF WALMART DEALS THIS WEEK HERE, and sign up for the Ultimate Coupon Cheat Sheet right HERE so you never pay full price, ever again! September 17, 2017 by Laurie Leave a Comment This post may contain affiliate links, which means if you click on a link and purchase something, I may earn a small commission (at no additional cost to you.) See my disclosure policy HERE. I am SOOOOOOOOOOOOOOO (so, soooooooooooooooooo!) excited about this! For the past few weeks the PPP team has been working together to pull together the Ultimate Coupon Cheat Sheet, and starting this Monday (September 18th), we're challenging YOU to join us for the Ultimate Coupon Challenge Week! As you may know, way back in November of 2009 I started Passionate Penny Pincher (then Publix Penny Pincher) as a way to teach folks how to use coupons, never dreaming it would turn into sharing all of the online and retail deals in addition to coupon deals it shares today. But, my heart to help people save money with coupons has stuck around, so we thought this would be a fun challenge now that the kids are back in school, and hope this will help you save a bundle too. Beginning this Sunday night I'll send out an email of all the deals we're challenging you to, as well as full lists of store deals you can find at any local store. 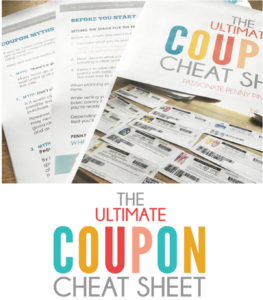 Go HERE to sign up, and watch for an email from me right away including the Ultimate Coupon Cheat Sheet.